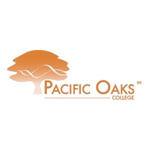 Stevens Strategy developed state-of–the-art policy manuals for Pacific Oaks College and Children’s School at a time of major transition for the institution. The policy manual volumes developed included governance and administration, campus community, general institutional employment, faculty personnel, staff and administrative personnel, academics, and students. Tom, Elise and Stephen provided a comprehensive set of policy manuals for the college, splendidly! The most successful part of the project was the “buy-in” the project received from our faculty. Their responsiveness and the quality of their work along with timely and clear communication were great strengths. I would hire Stevens Strategy again.